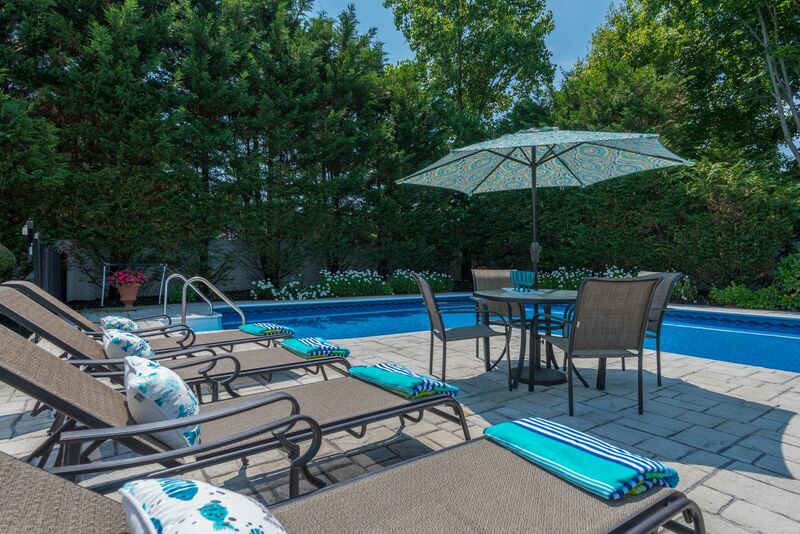 Welcome to Summerfield-A community that captures idyllic days, blending old fashioned values with all the amenities and pleasures of a completely modern lifestyle. 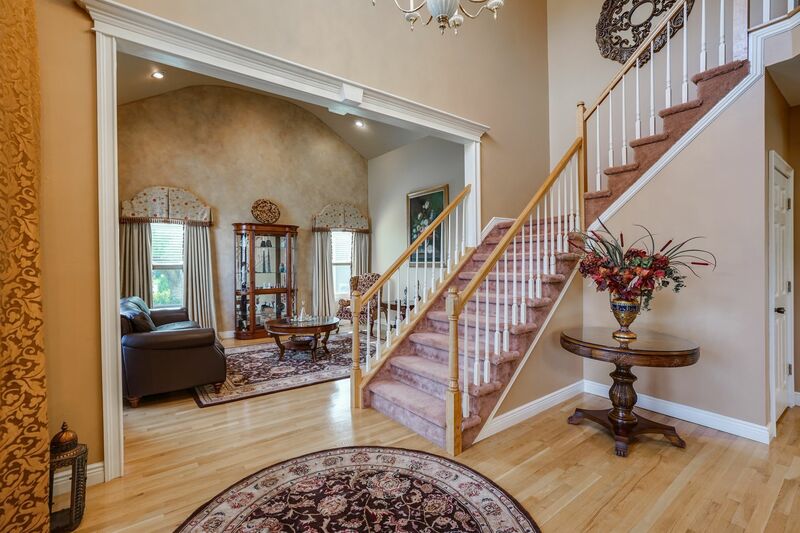 A manned gatehouse and community replete with flowers and gently curving roads are a symbol of both friendliness and security. 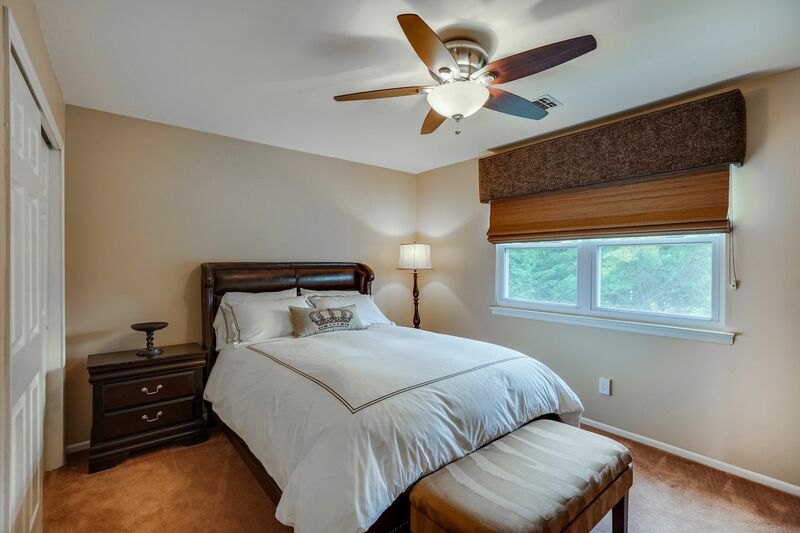 This expanded Rosewood Model is custom designed with an added first floor guest en suite, perfect for large family or visiting guests. 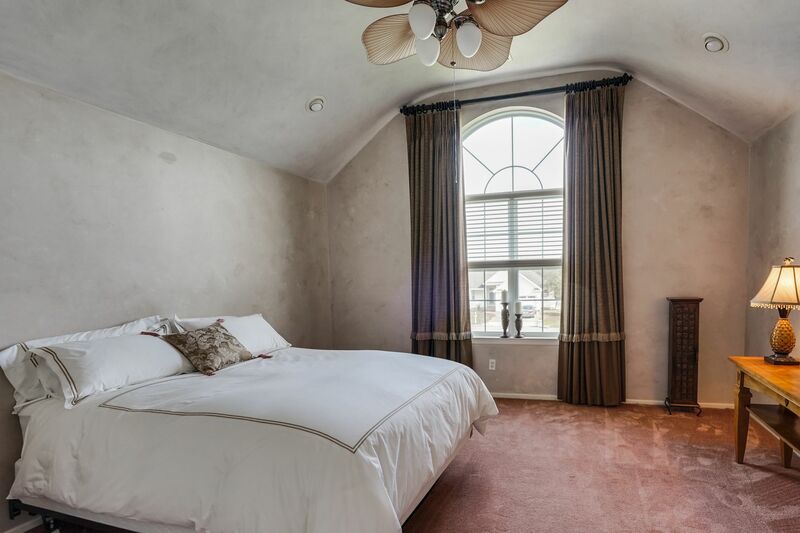 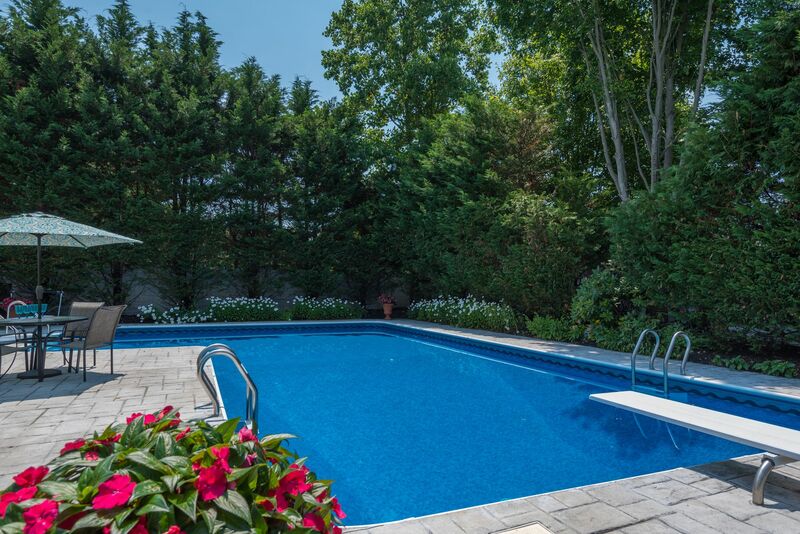 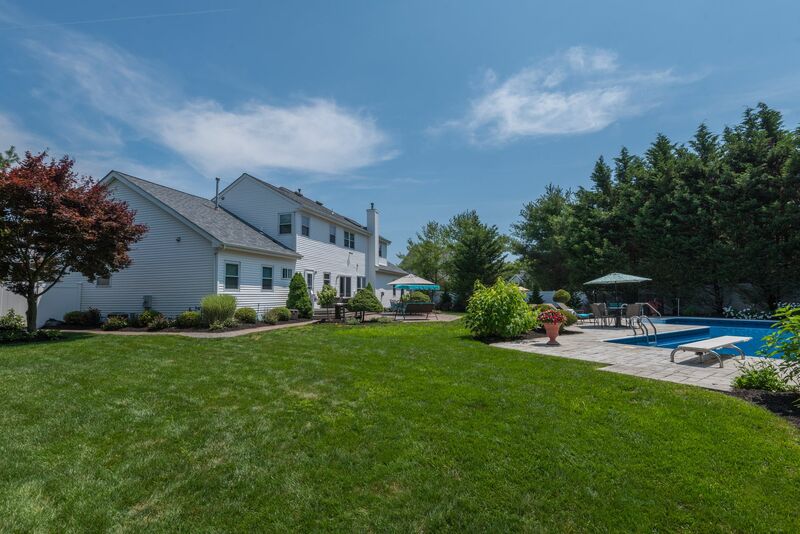 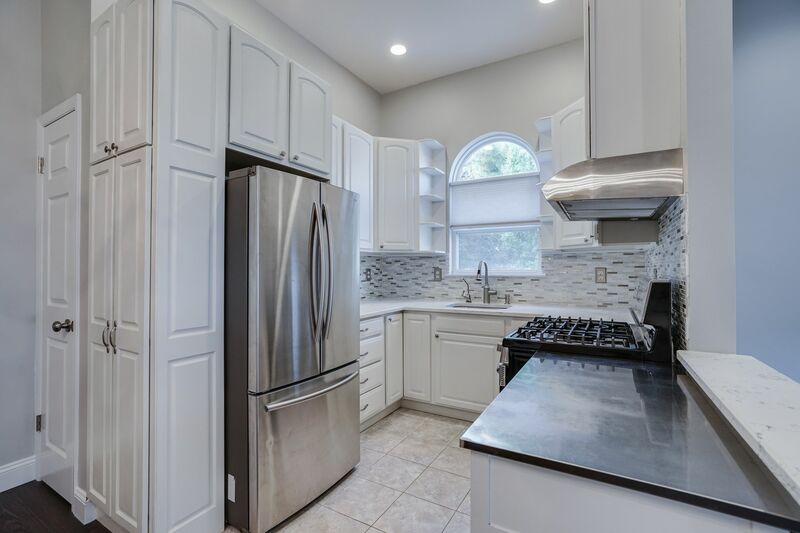 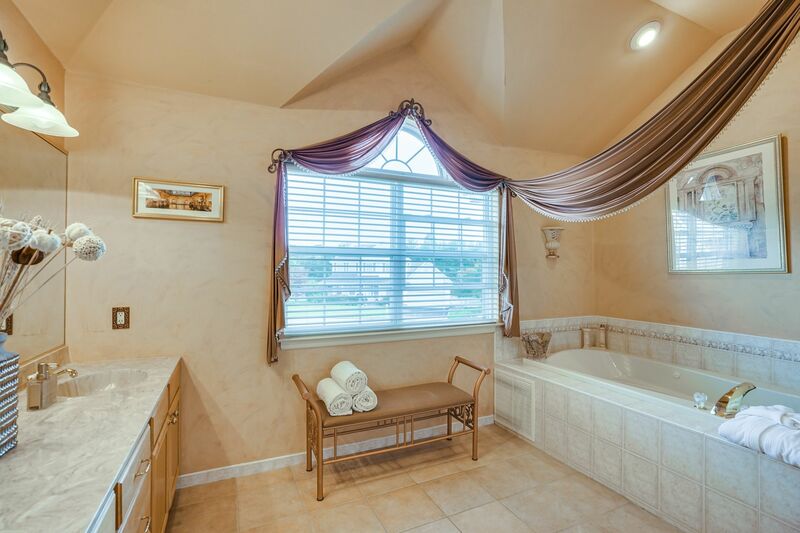 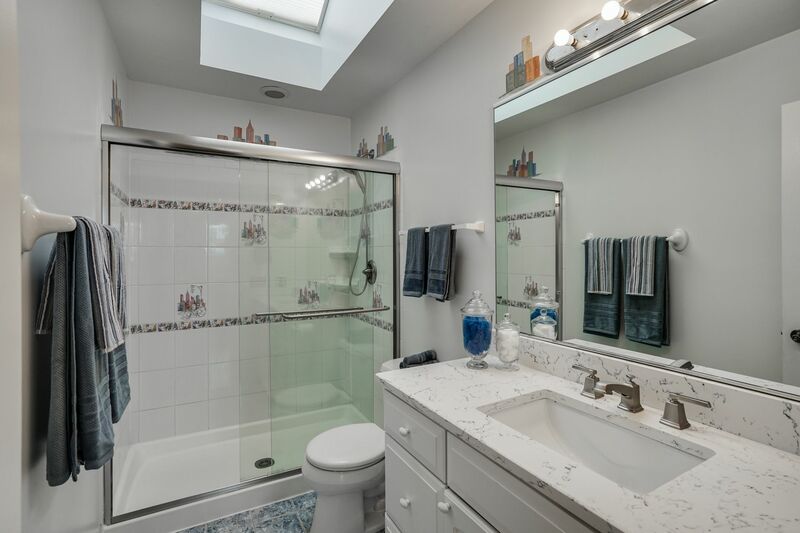 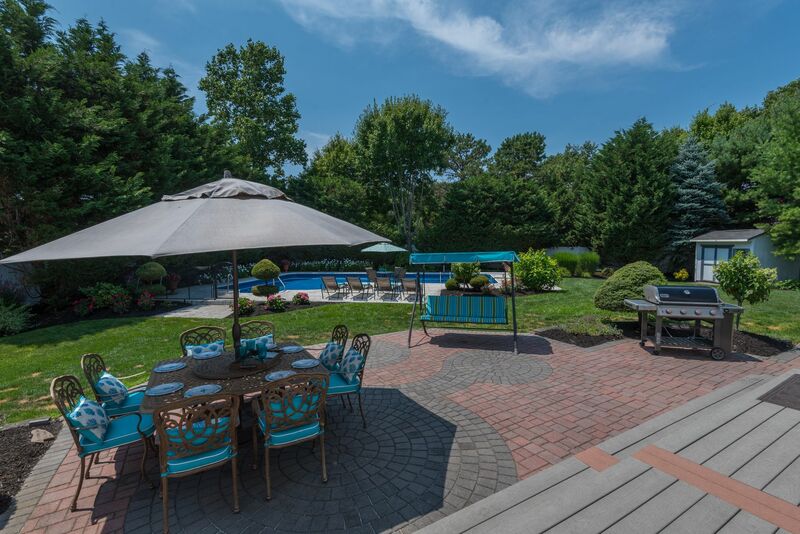 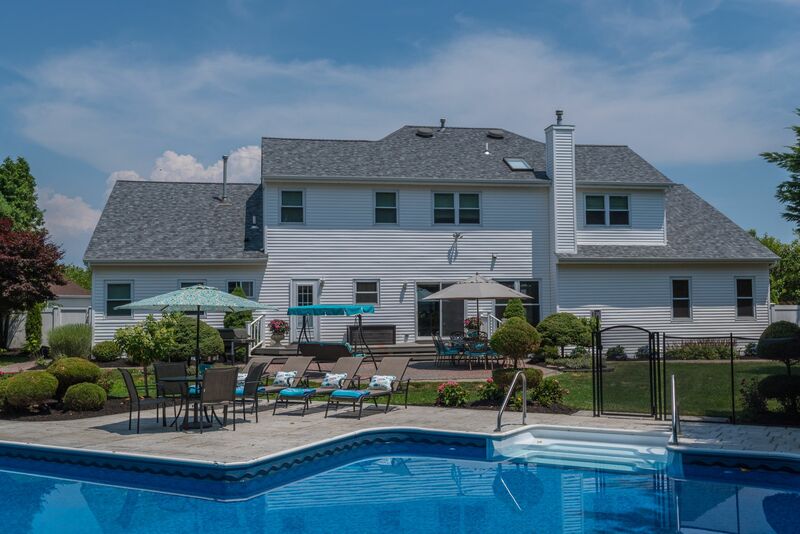 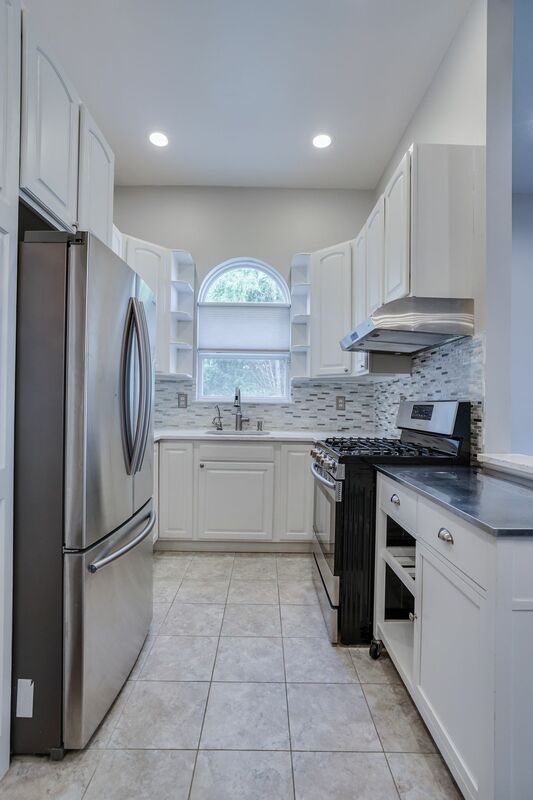 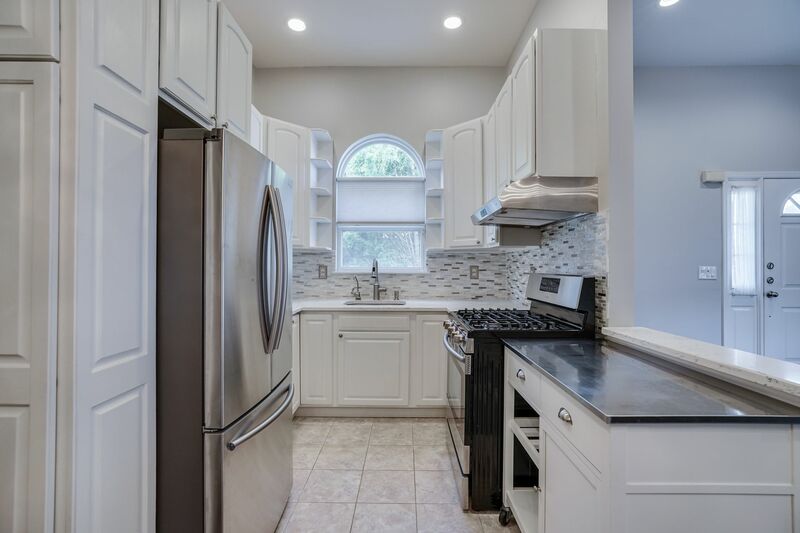 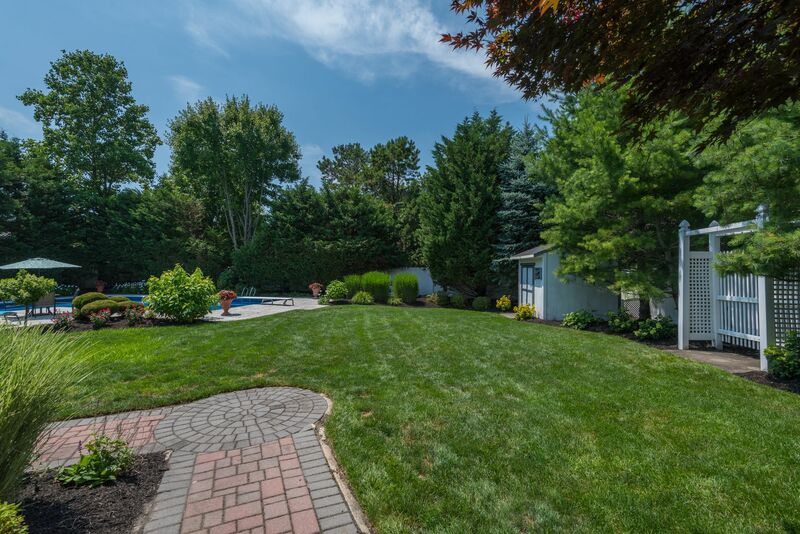 No detail has been overlooked from the lush professional landscaping with beautiful IG heated pool to quality workmanship throughout this customized home. 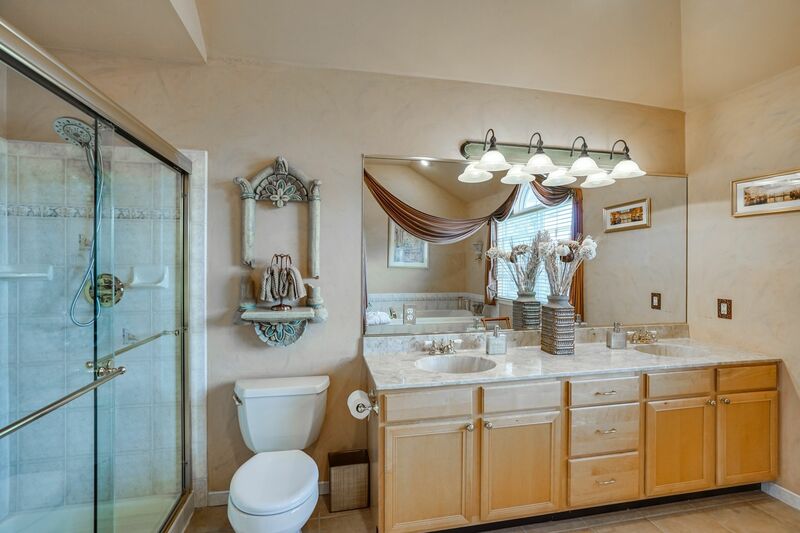 Built with privacy in mind, this home is nestled on a premier builder’s lot, shy half acre in cul de sac. 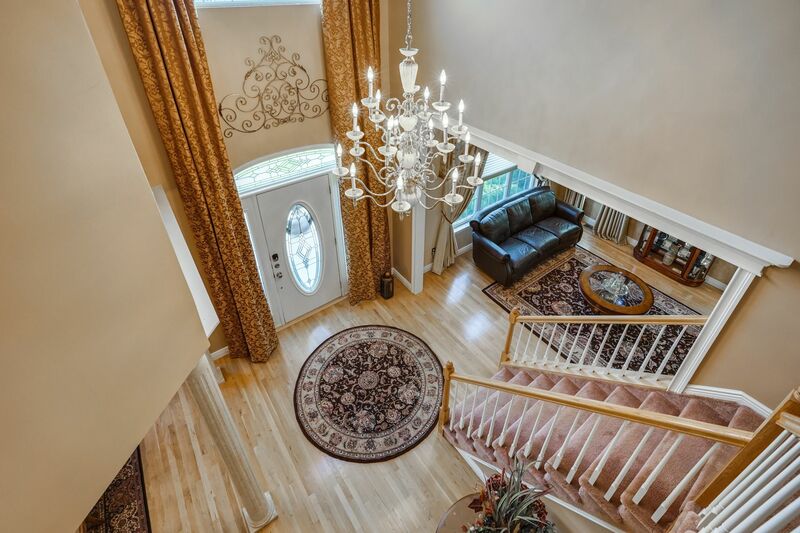 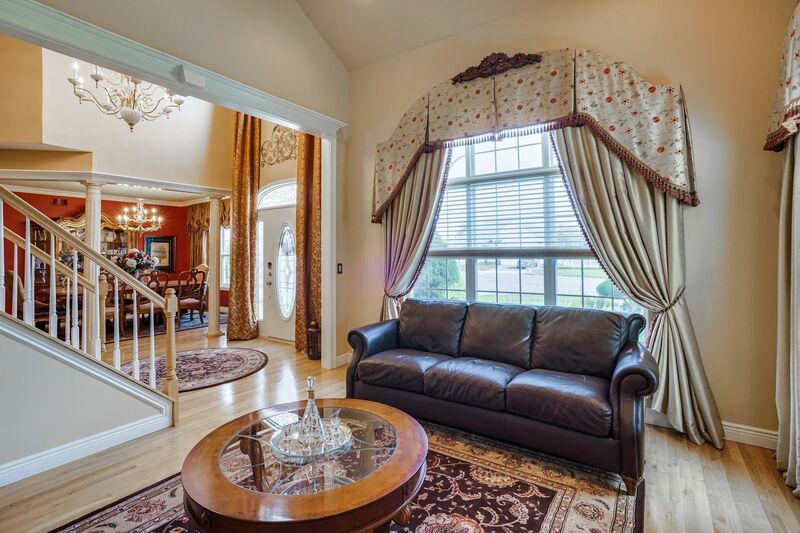 A grand foyer with drop chandelier and custom drapes throughout, this magnificent home is classically designed with elegance in mind. 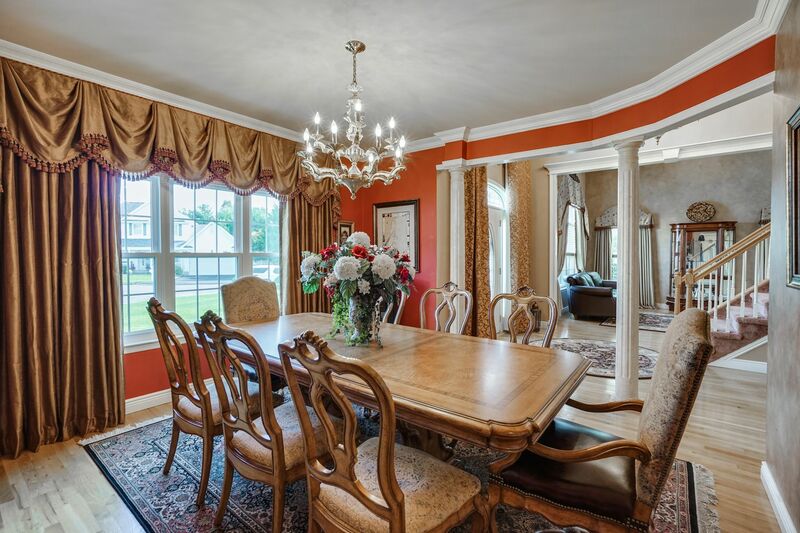 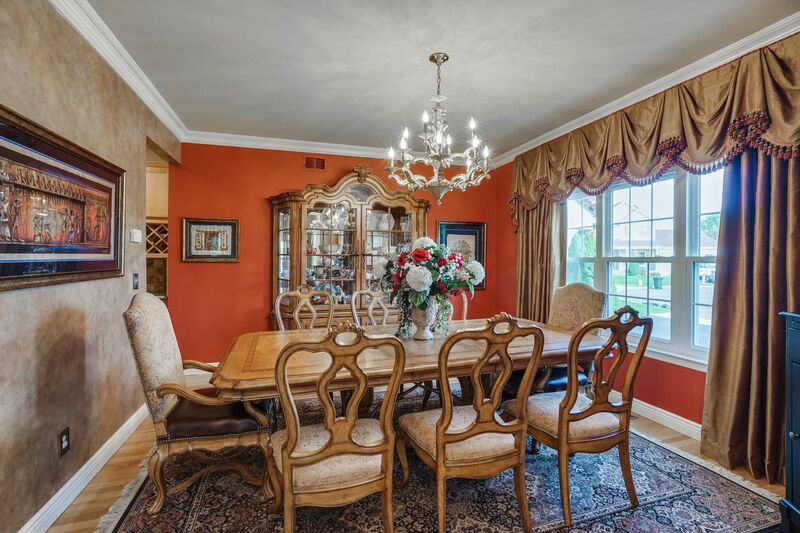 An inviting formal dining room and elegant living room with vaulted ceilings greets you as you walk in. 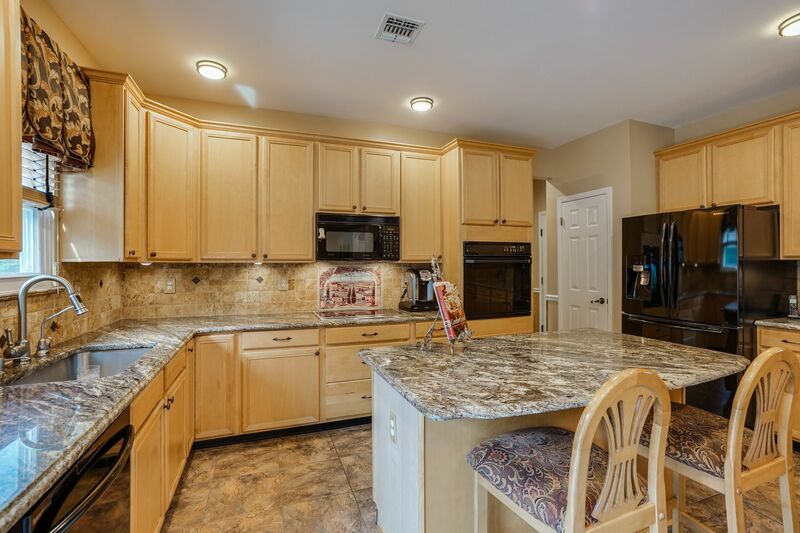 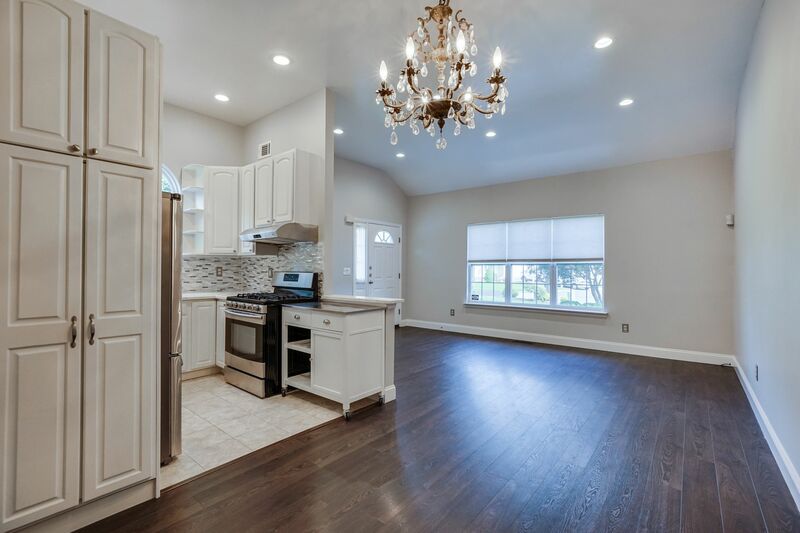 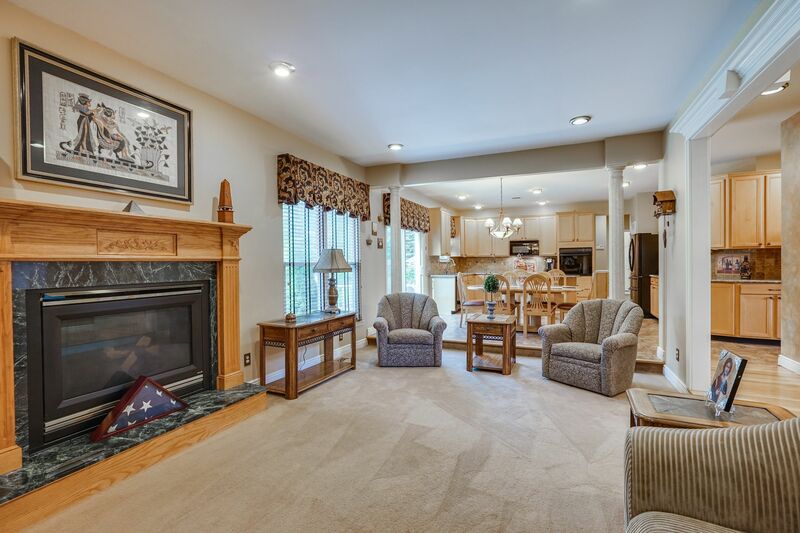 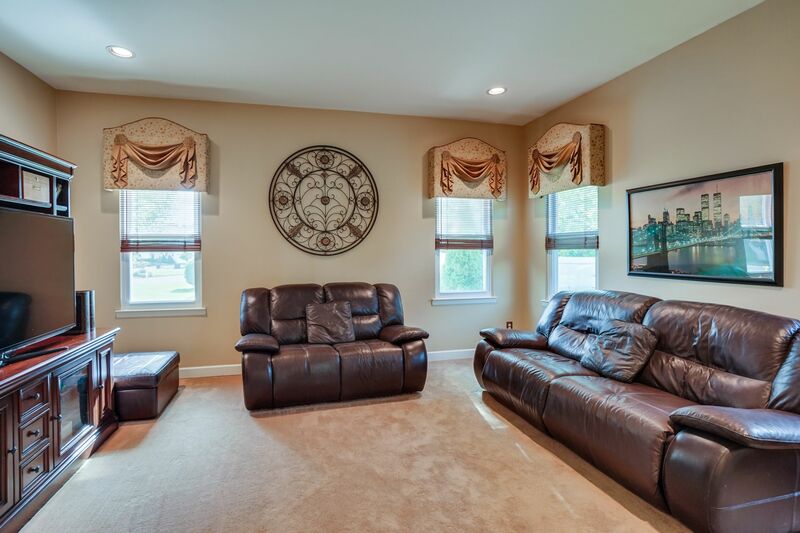 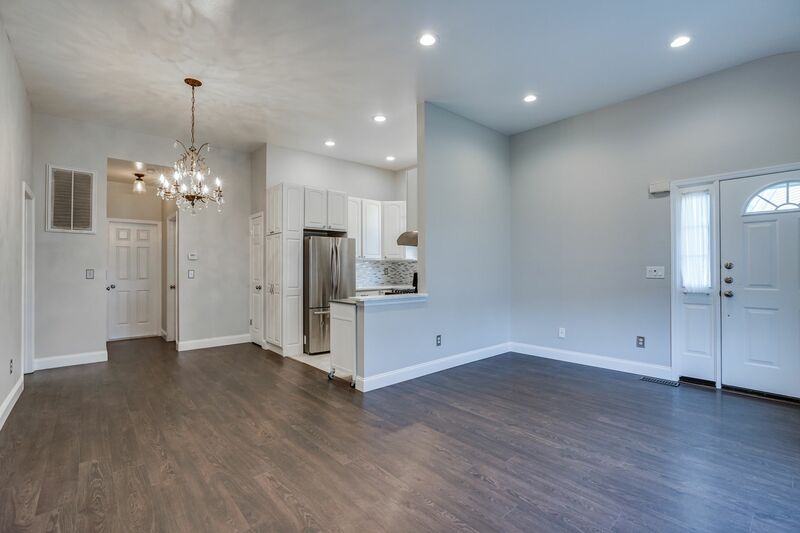 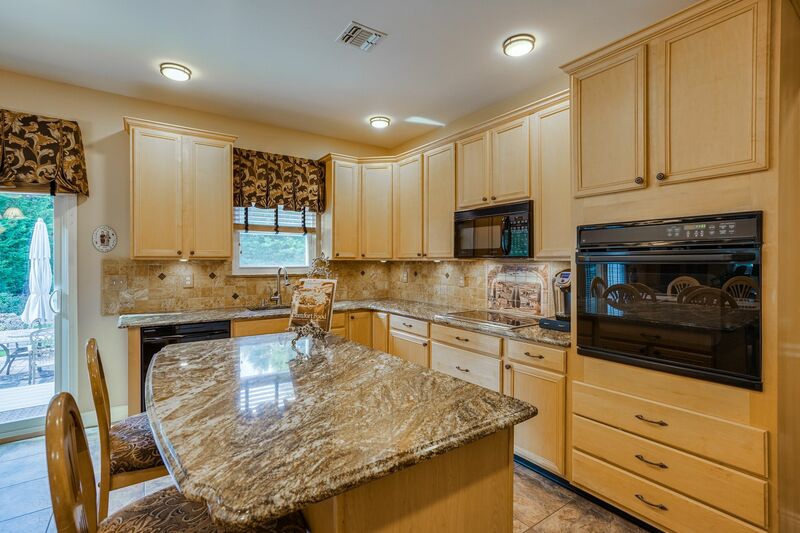 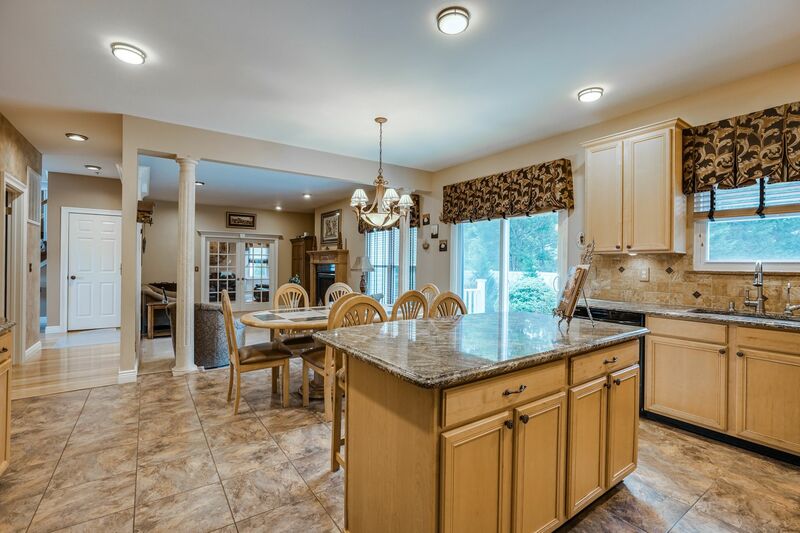 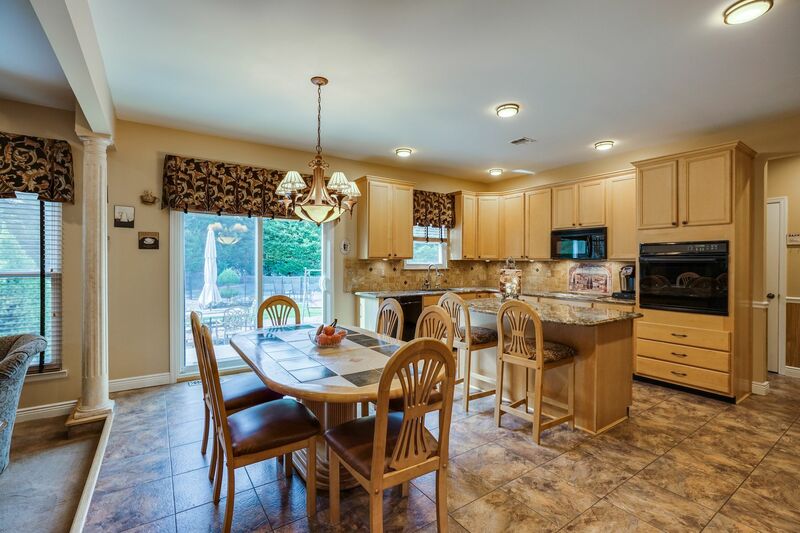 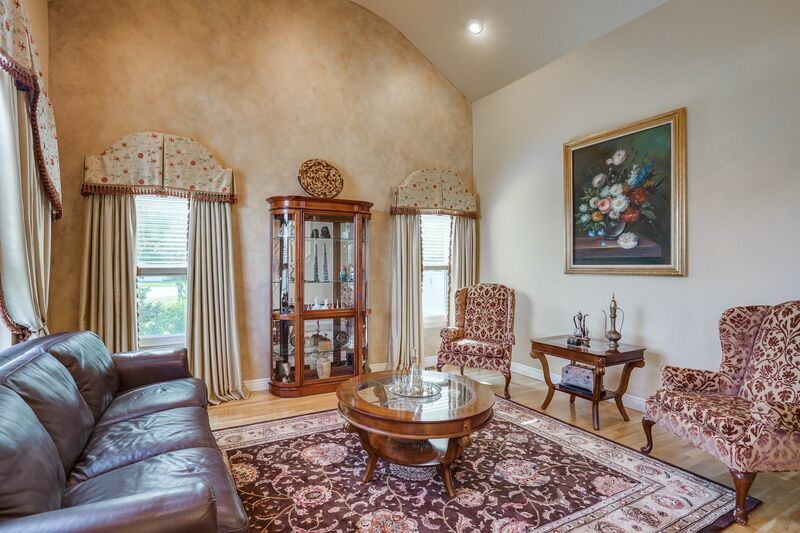 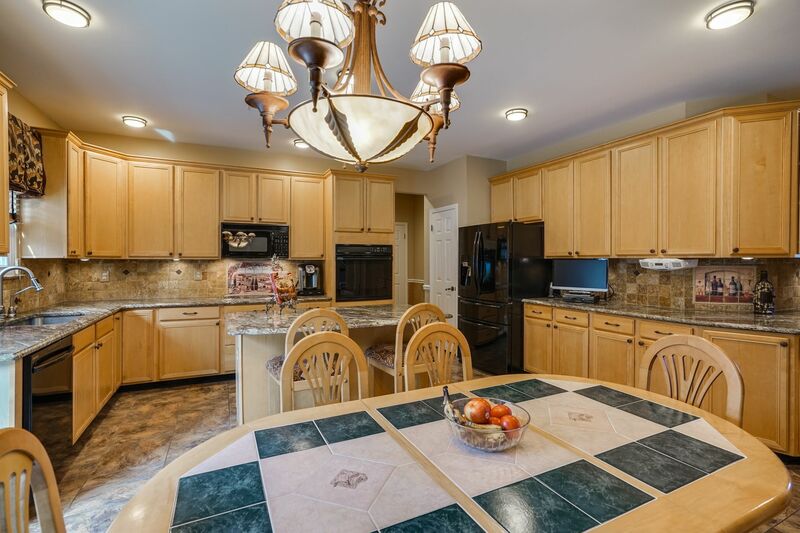 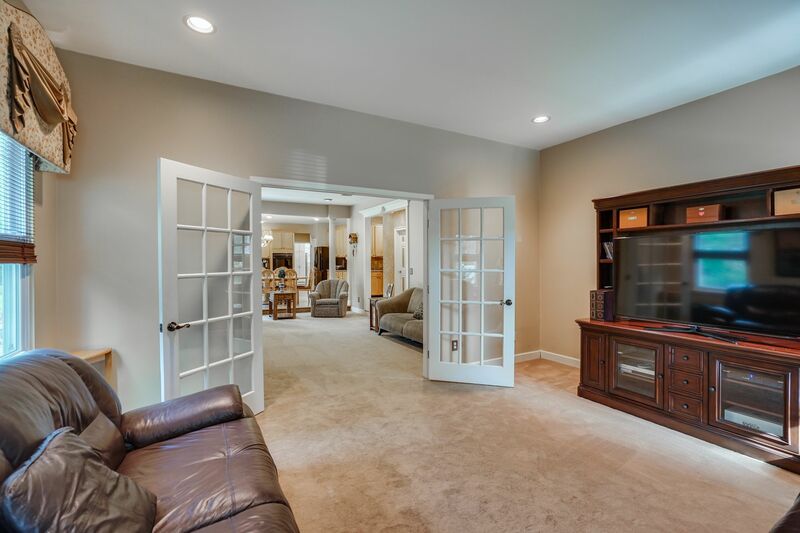 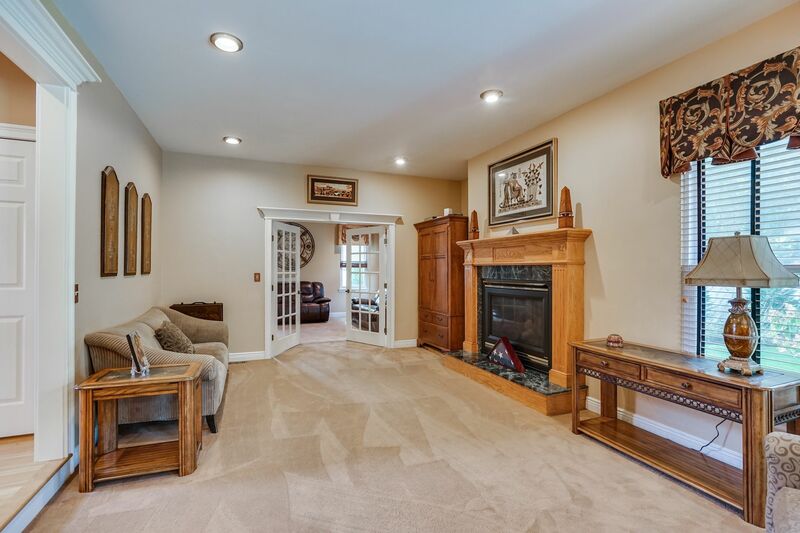 The large eat in kitchen opens to a large family room w/fireplace and quiet den. 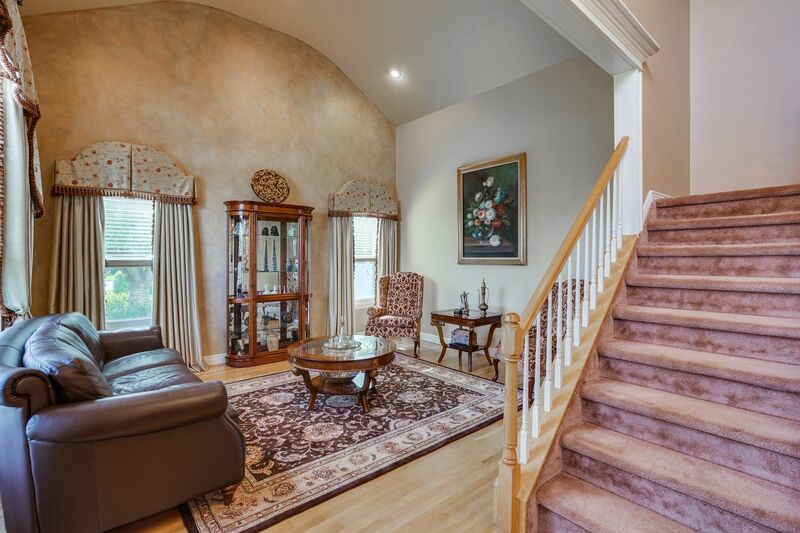 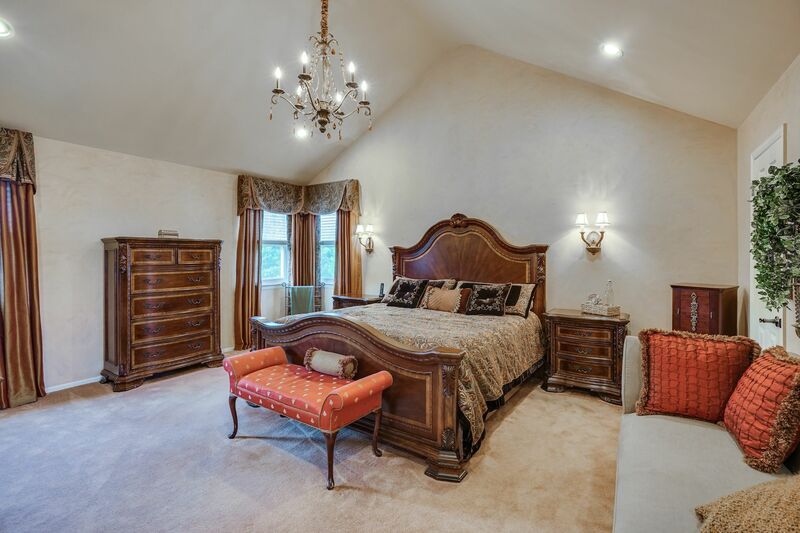 This home was custom built with first floor guest suite with private entrance, guest bath and additional living space. 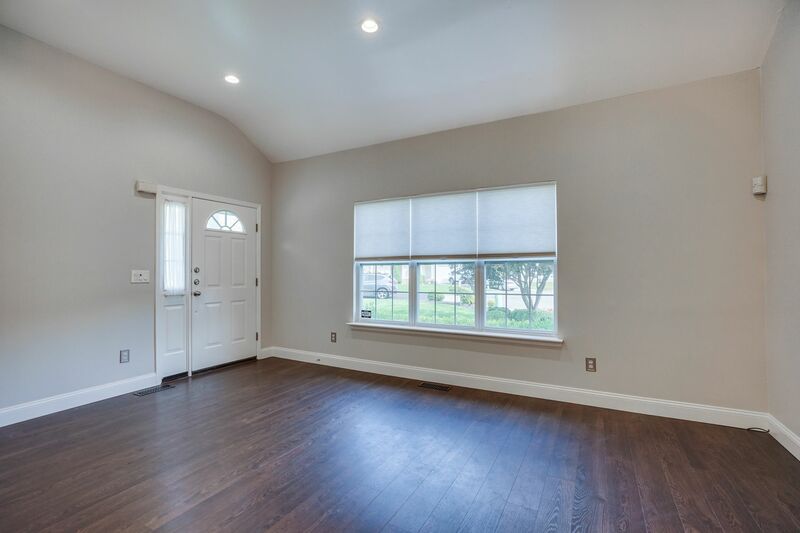 The second story comprises of master en suite with vaulted ceilings, master bath with jetted tub, stand up shower and walk in closets. 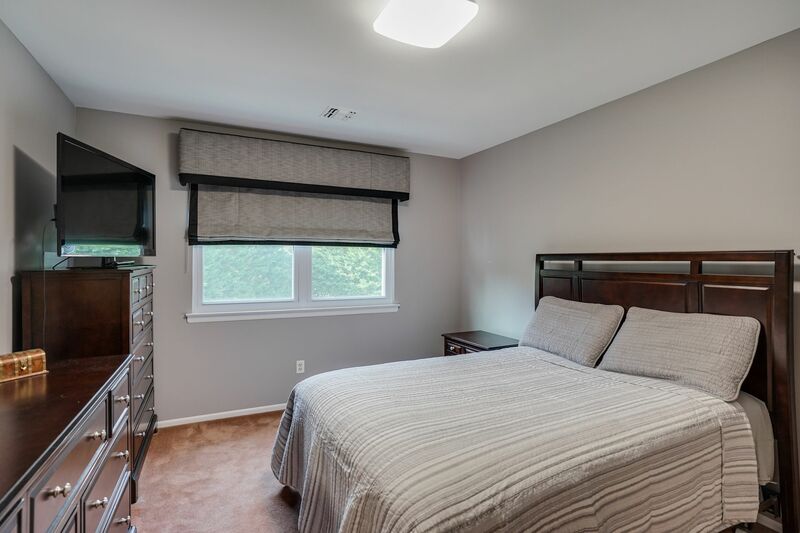 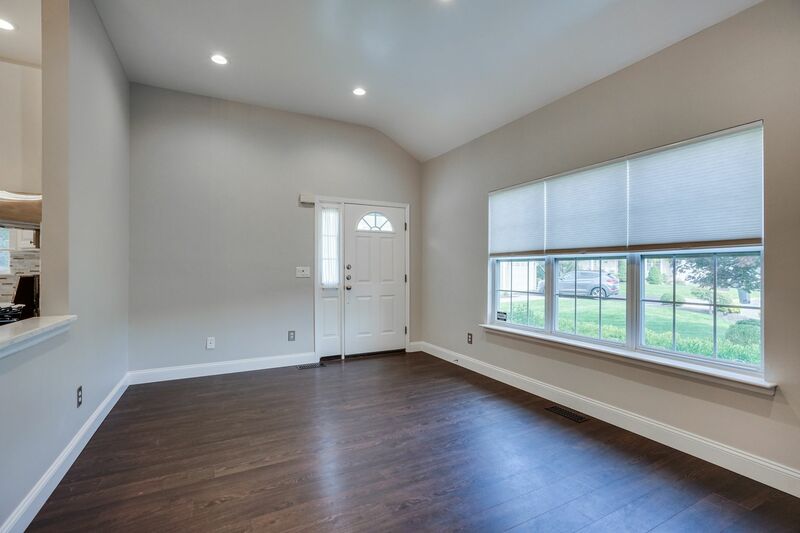 Additional three generous size guest bedrooms and full bath are complete with double closets and a bonus walk in storage. 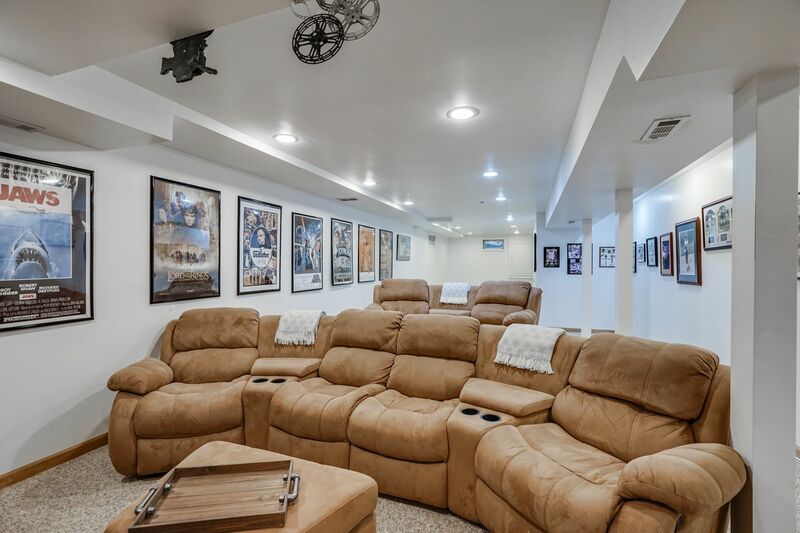 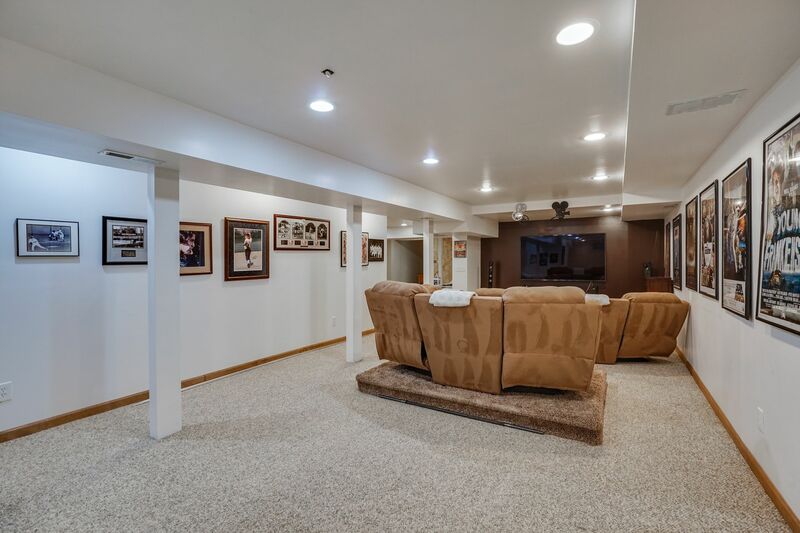 The full basement has a working area and has finished area for media room and offices as well as storage. 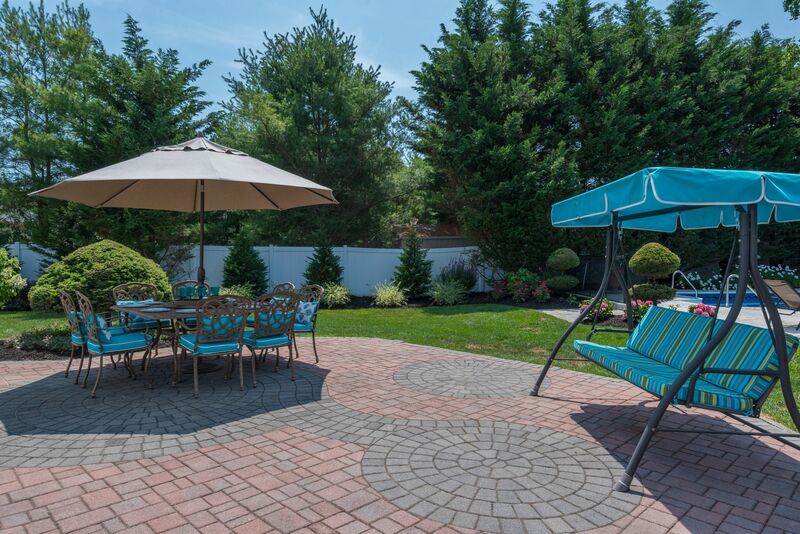 The outdoor space is professionally designed with mature landscaping. 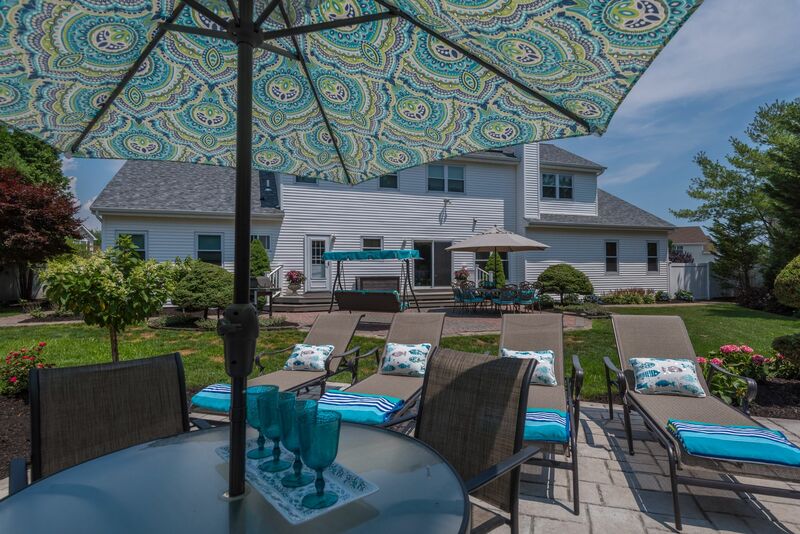 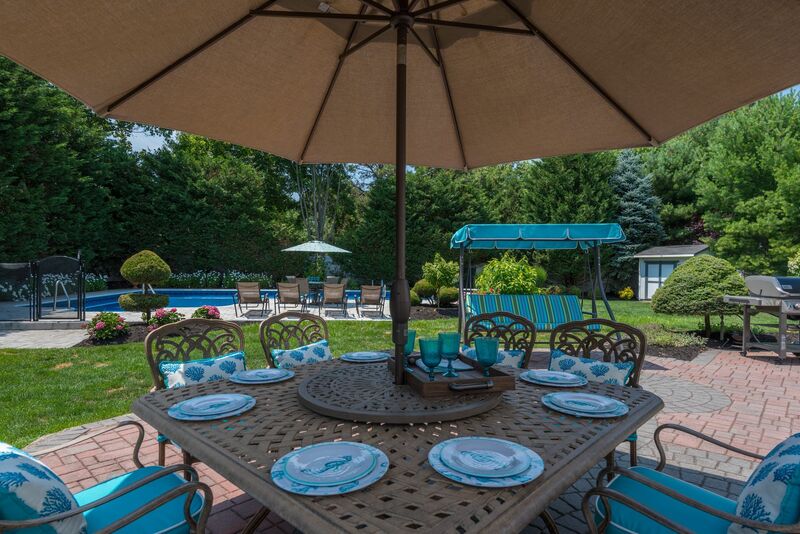 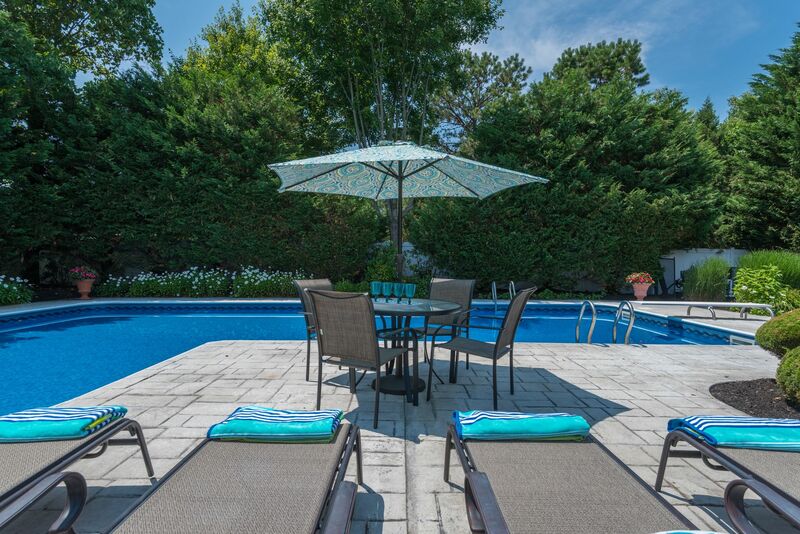 The in ground heated pool is surrounded by carefully designed custom pavers and quiet entertaining spaces can be found throughout the property. 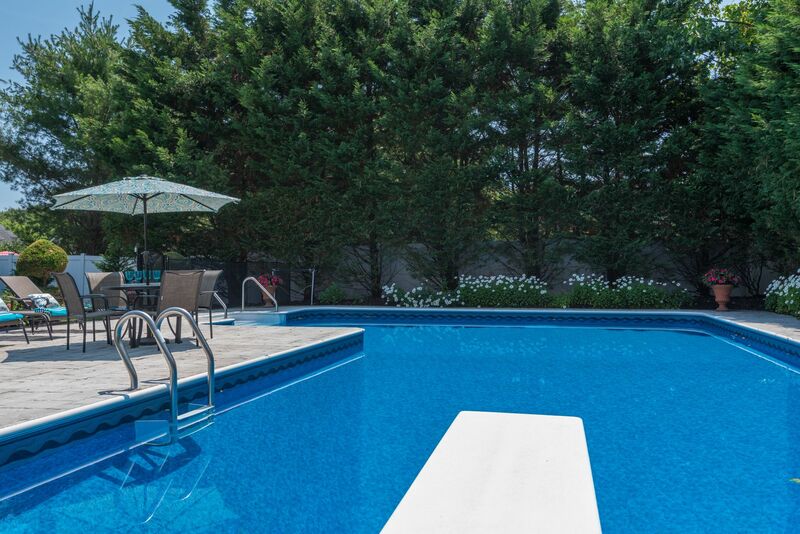 Summerfield amenities include a clubhouse, pool daycare center, tennis and basketball courts, and much more. 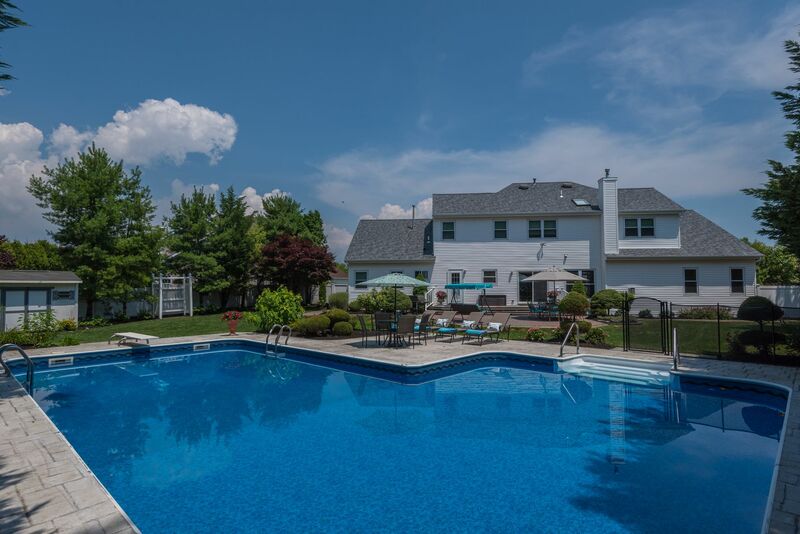 This is the good life!